The scandal of horse meat being surreptitiously sneaked into a variety of products that should have contained beef continues to dominate the news, with daily revelations about fraud and generally shoddy practice in the food industry. Today, there have been arrests, and there will be more. This feels like the very tip of a Titanic-sinking iceberg. There’s more to come, more scandals, more misrepresentation, more dawning realisation that the food on your plate isn’t quite what you thought it was. I’ve resisted writing about this until now, but the interesting thing here is that this is a scandal of two parts. On the one hand, beef is found to have been cut with horse meat to bulk it out and pass a cheap meat off as a more expensive one. On the other hand, the British are revolted by this, because its horse meat, and we don’t eat horses, do we? There’s only really one issue here, and I’ve written before about why we probably should eat horse meat. It’s actually a really good alternative to beef – sweet, gamey, quite tender and tasty, but loaded with a level of cultural baggage that’s become ever more apparent as this debacle has played out. Here’s what I told the Metro newspaper when this all kicked off. The real issue – the issue we should really be bothered about – is one of food safety and security. Do we know where our food is comes from? If it’s possible for a value burger or a crappy ready meal to end up with a huge proportion of horse where there should be beef, I’d suggest that we don’t have a clue, and neither do the big retailers and producers supplying it to us. Either they’re ignorant or complicit. Let’s just assume ignorance for now, and hope not to be proved wrong. Provenance in food is important for a number of reasons, but it’s vital for ensuring safe handling practices and quality. Knowing where things come from brings with it accountability, and accountability brings good practice. That leads to better standards and safer food. The trail emerging of horse meat moving around Europe and mysteriously becoming beef at some point is shocking to observe. The Romanian criminal underground seemed to be the prime suspect a day or two ago, but, perhaps for the very first time in the existence of organised Romanian crime, they seem to have been let off the hook as attention shifts to what appears to be a shonky French outfit. At least they should know a thing or two about horse meat …. It’s reasonable for people to be upset by all this. If you buy a beef burger, it’s right to expect that it contains, well, beef. The fact that it contains horse isn’t good, but the presence of horse meat doesn’t mean that the product is adulterated. Horse meat won’t hurt people – it’s perfectly edible, and its presence probably improved fairly poor quality products immeasurably. Press reaction, and use of words like “adulterated” and “contaminated” misses the mark, and just plays to and reinforces cultural stereotypes around horse meat, but if you’re paying for beef, you should get beef. But there remains a risk, it’s just a different risk. It’s very likely that if somebody is prepared to pass horse off as beef, they’re far less likely to care about the hygiene standards around its storage or movement through the food chain. After the cunning ‘horse for beef’ switch is complete, nobody knows where the original horse meat came from and how it was handled. It could be from … anywhere, and that’s a food safety risk. A very big food safety risk. There’s also a lot of concern about the horse painkiller bute, which there’s a slim chance may be present in some horse meat. Bute isn’t good for people, but the traces left in the meat of a horse treated with it are negligible and unlikely to be a risk. There’s probably far more risk from the fat and salt in a value ready meal than from a trace of Bute in the horse meat it might contain. Where this is going to end is anybody’s guess. More shock and horror is likely, and a few more food distribution scandals are on the cards. This will lead to tighter regulation and moves to improve accountability and security across the food distribution chain. The Food Standards Agency, which hasn’t responded well, and wasn’t positioned or equipped to respond to a crisis like this, will be re-assessed and the frankly stupid reforms it underwent in 2010 looked at again. People will lose trust in the big suppliers, because their commercial drive to sell food for less than it’s actually worth has caused unbearable pressure on suppliers and caused them to clutch at straws. This last point is the most significant, and the most welcome side effect of this affair. Food, and meat in particular, isn’t cheap, and you really do get what you pay for. There’s already evidence of people returning to proper butchers who know their product, can tell people where it comes from and do so honestly. Yes, their meat is more expensive. Yes, it isn’t as convenient as a supermarket, but do you want an unspecified brown substance that might be beef, or do you want beef from a properly reared cow that’s fully traceable, butchered well and sold to you for a fair price? Others will disagree with me, but the answer is easy for me. Does he know the farmer, abattoir owner? Does he look you in the eye? Do the delivery vehicles back up what he is saying? If this doesn’t fit your pocket, buy less and better. David’s piece about recent events is here, and it’s worth reading. The best thing to do is to shop at a good butcher and ditch the ready meals. Cooking isn’t hard, and something cooked from fresh ingredients at home is going to taste better and be kinder on your wallet and body than a constant diet of convenience food. Excuses about time and effort don’t wash with me. Anybody can cook, and eating is the most important thing that anybody does, so it’s right to invest a little time, effort and care in it. If more people started to do this, to care more about what they eat and what that means, this will be a crisis worth enduring. I’m so glad to see your reaction to this. I remember when you wrote your previous piece on eating horse and agreeing with much of what you said wholeheartedly and it’s even more the case now. For many, regardless of whether or not they are pro-horse-as-food, this has been a reality check for getting what one pays for – is it any surprise that very cheap food may come with socially dubious ingredients and a low regard for nutritional responsibility from the manufacturers? Of course not. Hell no. Interestingly, from where I sit (my culinary school associates aside) the greater outcry has been over the branding, sourcing and the labelling and the underhandness of it all rather than the horsemeat itself. Is it possible that Britain might actually be being made curious about the possibilty of horse being an acceptable meat? It is clearly cheap and healthy, high in iron, lean and tasty. Strangely, this whole debacle could be the start of some new and exciting shifts in the acceptability of eating horse. 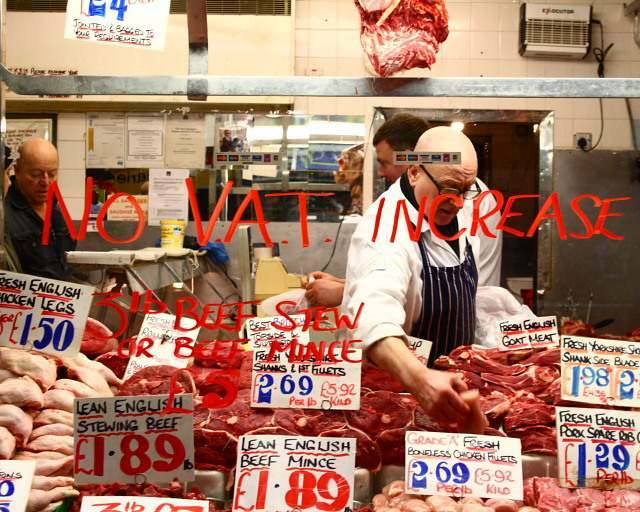 It’s certainly started a celebrated shift and highlighted an importance for people in knowing where their food came from – my local butchers says business is at a three year high in the last month! The Food Standards Agency (FSA) confirmed that it had found horse meat originating from the UK contaminated with bute on eight occasions in the past year. It said five were exported to the food chain. Well said. I also like horse (basashi is a popular horse sashimi) but if it’s got to be sneaked in, there’s something wrong. Couldn’t agree more. I mentioned this subject on a blog post this weekend about making home minced burgers, from meat that you know the providence of. It’s interesting that if you google one of the Irish companies involved in the horse meat scandal, it seems they’ve been caught out for all sorts of dodgy stuff in the past. If I can google it, why can the big supermarket chain involved see it. Or don’t they care?